If you’ve decided that you’re going to buy an oil tank you’ll need to make a decision on the material. Your two main options are either plastic or steel. 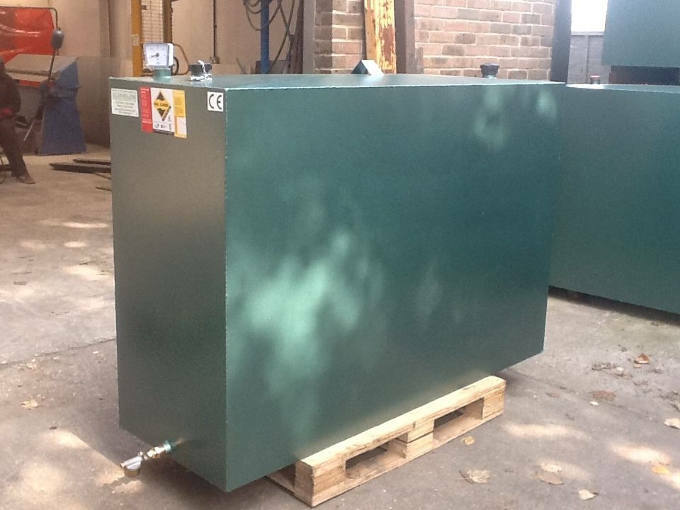 Here are three good reasons to buy a steel oil tank. It’s worth knowing that steel oil tanks tend to have a much longer lifespan than their plastic alternatives. Plastic tanks can be weakened by direct sunlight and are far more susceptible to structural failures – they can also be easily damaged by accidental impact by vehicles or other machines. Steel tanks stand up far better to this sort of environment which can ensure that they last for many years beyond plastic tanks. When you buy one of our high quality steel tanks you’ll get a 10 year guarantee for your peace of mind. Steel tanks have a reputation as being much more expensive than plastic tanks, but this isn’t really the case anymore. You will still generally may more for a steel tank but the cost difference is much lower than ever. At the same time, steel tanks continue to offer far better value for money than plastic ones. With better longevity, security and durability, steel tanks will need replacing less regularly so you are effectively getting more for your money when you buy steel. Remember that the oil that you keep in your tank is actually very valuable, so any theft can be not only inconvenient but also very expensive. What’s worse is that if you have a plastic tank it is likely the it will be damaged during the theft which will then require replacing – another expense. Steel tanks are far harder to break into than plastic tanks, so this gives you excellent security. In the majority of cases if a potential thief sees that you have a steel tank they will understand that it is not worth the effort and move on.